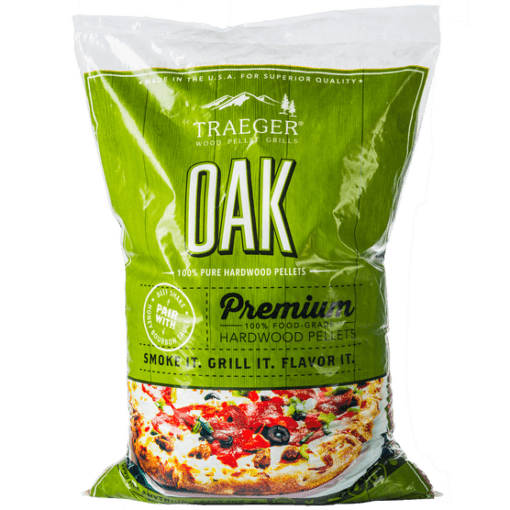 Traeger Oak pellets are great for naturally enhancing Beef and Fish with a mild, nutty flavor. Experts have determined that the secret to outdoor cooking is hardwood fuel. 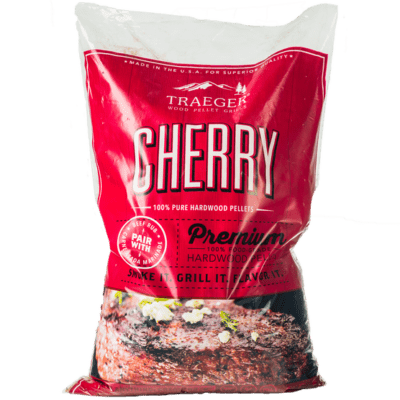 With no fillers, no binding agents, and no bark content, Traeger has created robust, clean flavor for all your recipes. We make sure that no harmful agents cook your food by keeping our pellets pure and 100% natural. 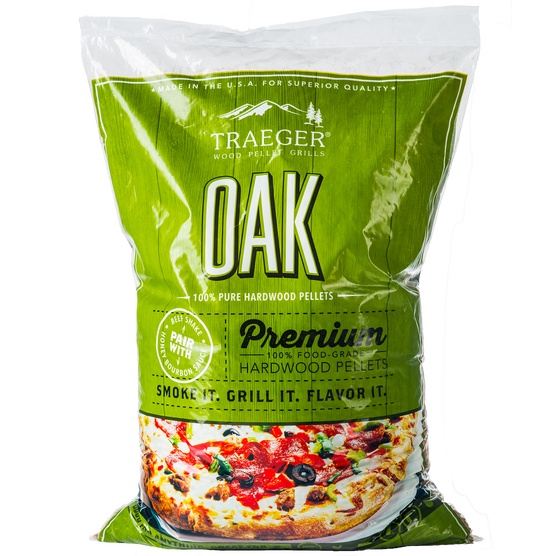 Traeger Oak pellets are great for naturally enhancing Beef and Fish with a mild, nutty flavor. 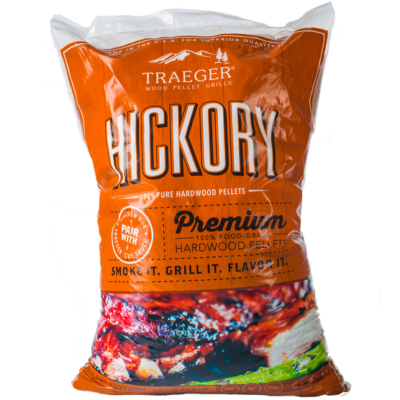 Traeger premium wood pellets are the best on the market. 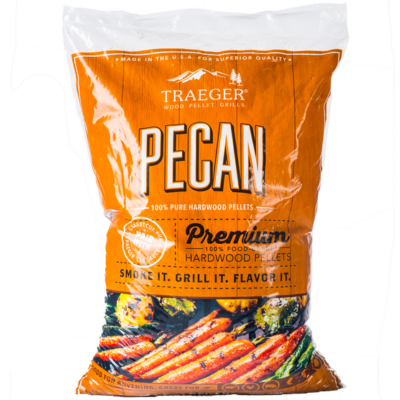 Made from 100% natural, food-grade hardwood, our pure pellets grant the perfect burn for optimal wood fired flavor. Made in the USA and overseen from sawmill to shelf, we provide the cleanest, healthiest fuel source available with endless flavor combinations. Note: Not all flavours maybe available in store at all times.